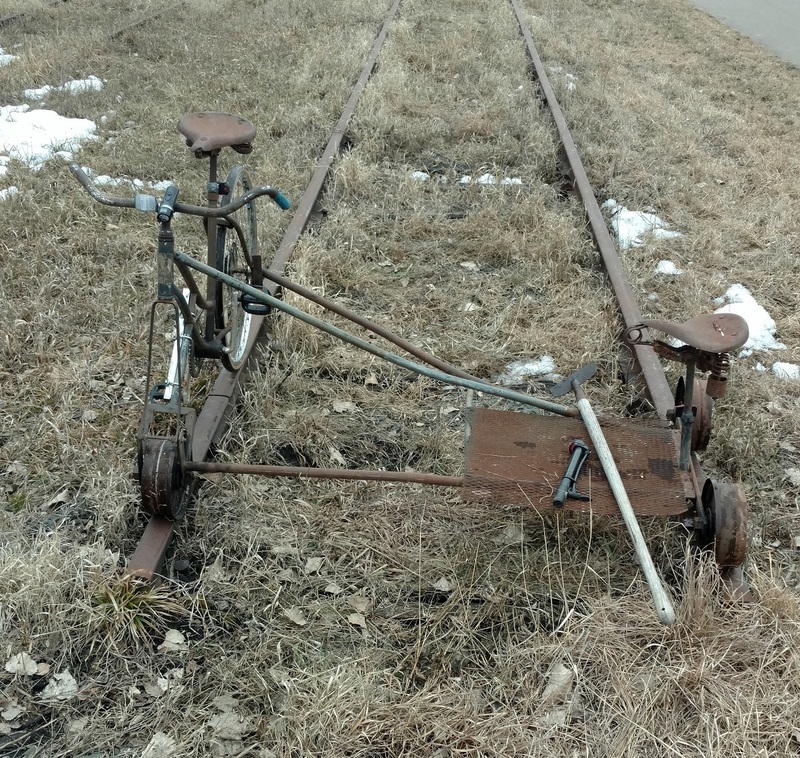 I’ve been mildly interested in rail bikes for a while, but too lazy / busy to build one myself. However, when one popped up at a local estate sale I couldn’t pass it up. Before the safety-conscious railfans jump on me, the track I’m testing this on is fully disconnected from any live rail and is on public land in a city park (The Trout Brook Nature Sanctuary). It’s part of a former industrial spur and was incorporated into the park as a bit of decoration by the designers. I’m not sure of the origin of this contraption. It’s obviously homemade, but when and by whom are a mystery. The bike has a little side saddle “sidecar” on the outrigger, suitable for a passenger or cargo. The bike itself seems to have been built in England, or at least parts of it were. The nameplate is worn off and everything is pretty rusty! 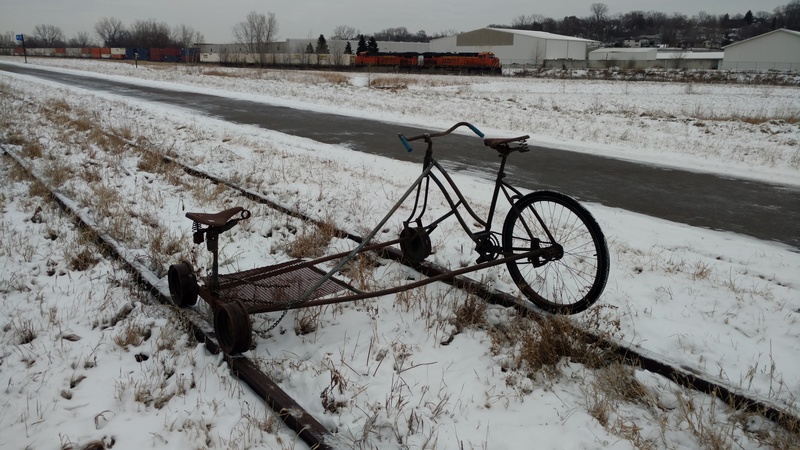 I’m guessing it’s from the 1950s or 60s, but whether it was a hobbyist or a railroad employee who built it, I don’t know. The bike required a little work to get it going. 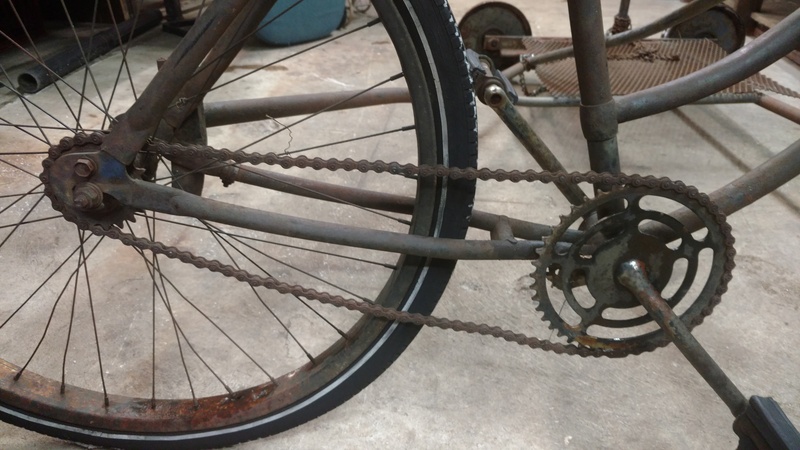 Namely a new rear wheel, new crank and pedals, reinforced weld, new chain, and some minor adjustments. 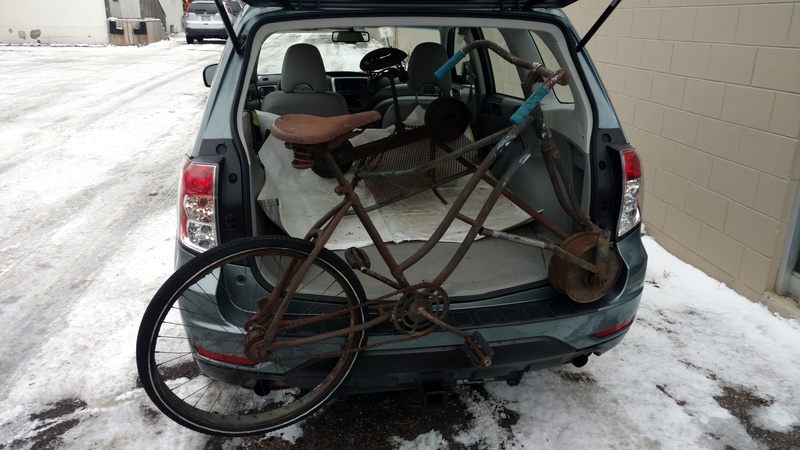 It barely fits in the car, and requires the rear hatch to be open. This could get annoying if I want to transport it very far! 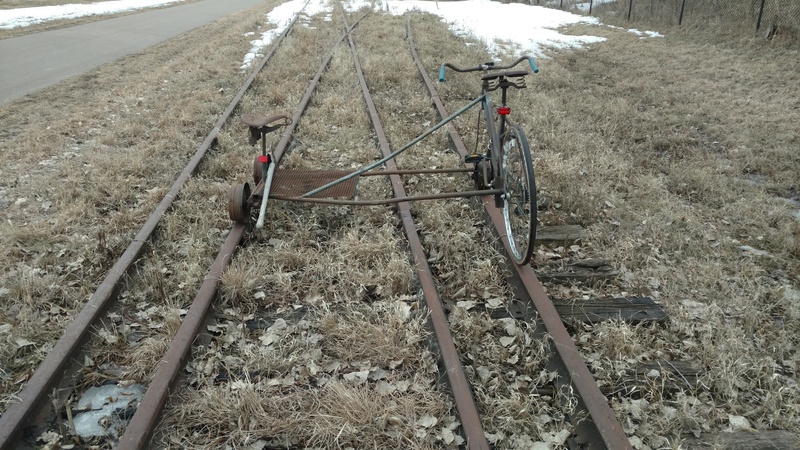 My initial tests showed that it does pretty well on abandoned track in decent condition. However, any bends, dents, large gaps, or major bushes on the rail will derail it. It kind of goes through switches in one direction, but tends to fall off the frog going through the other way. This entry was posted on Tuesday, March 27th, 2018 at 12:05 pm and is filed under Uncategorized. You can follow any responses to this entry through the RSS 2.0 feed. You can leave a response, or trackback from your own site.